As a family we seem to keep coming across this theme of thankfulness. I'm noticing my lack of thankfulness has rubbed off on my mini people and I want to help them learn this lesson of being thankful in everything now. 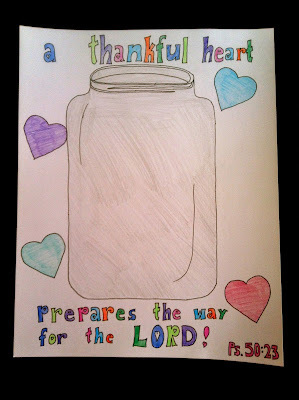 So I came up with a way to help give them a picture of thankfulness: I made a jar we can fill with "thankful hearts. "I'm actually pretty excited about this idea and had a lot of fun making it. And with Valentine's Day just around the corner, I thought it couldn't be more perfect timing and I can share this with the world (or my world, at least), too! 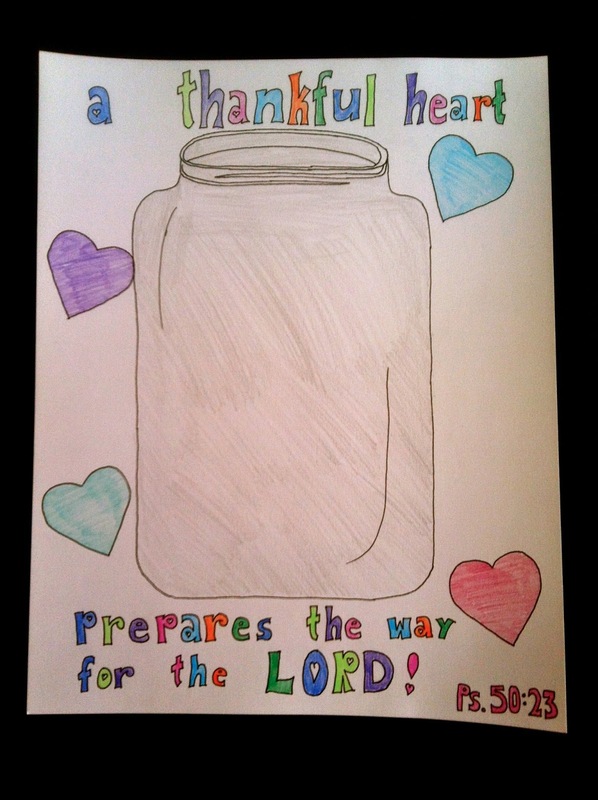 I took my pencil and a sheet of poster board and freehanded a jar (I'm no artist, so it isn't anywhere near perfection, but I'm sure my loving children will think it's awesome! ;) I also found myself saying in my best Captain Jack Sparrow voice, "I got a jar o' dirt." over and over, much to my husband's entertainment). I freehanded some fun letters so it reads: "A thankful heart prepares the way for the Lord," which is based off of Psalm 50:23 and an Enter the Worship Circle song called "Come Fall on Us." I went over all of my pencil lines with my favorite pen so they would be darker and more visible. I added a little color to spruce it up in an attractive-to-the-small-ones kind of way. 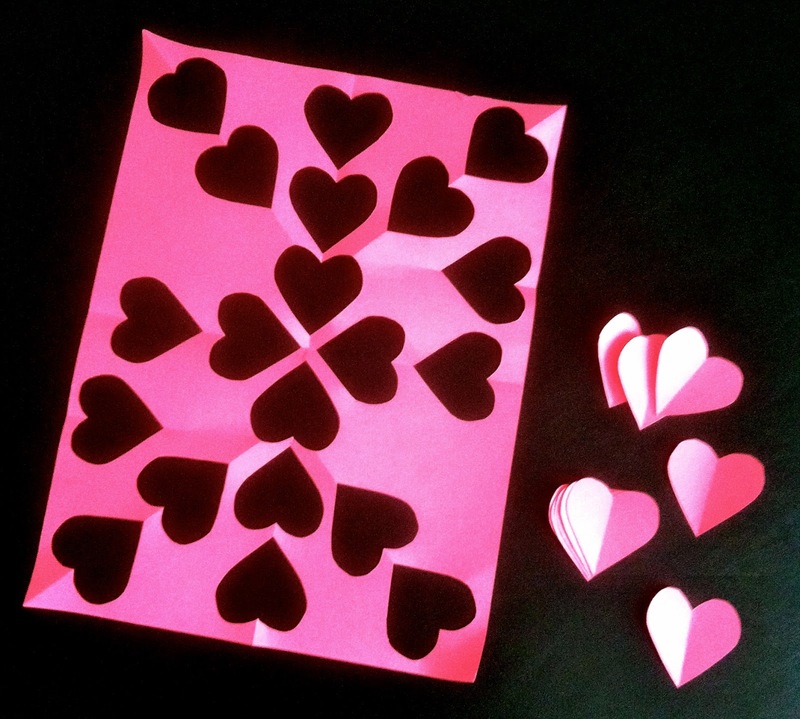 Then I cut out a bunch of little hearts from the red construction paper. I used my favorite pen to write "thankful" on each one. 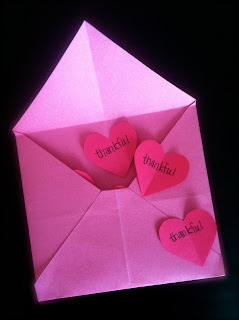 I used the pink construction paper to make a cute little envelope to hold all the little hearts. I could have used a baggie or a regular envelope, but I was feeling especially creative. Now I will sit down with the mini people and explain to them the Father's desire for us to have thankful hearts so He can use us and bless us as He sees fit (because, after all, that's what any good daddy longs to do). They can earn the hearts by responding to not getting their way with thankfulness instead of throwing a fit; or by being selfless with their things, including time, toys, treats, etc. ; or by being particularly thankful in any other way their little hearts dream up on their own! Each time they earn a heart we will tape it to the jar. And what's to say we can't start filling it all over again?? I'm incredibly excited to do this with my precious little ones. I'm more excited for what the Father is doing in all of our hearts as we seek to walk in thankfulness to Him for all He so graciously provides and does for us.